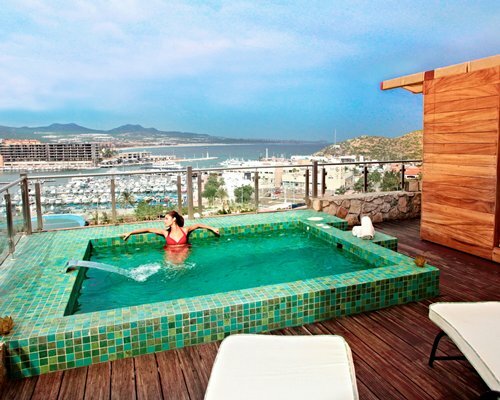 Soak up the sun in Los Cabos in any of our three spectacular pools, or have a snack at the stunning Palapa Bar, the highest in the region. 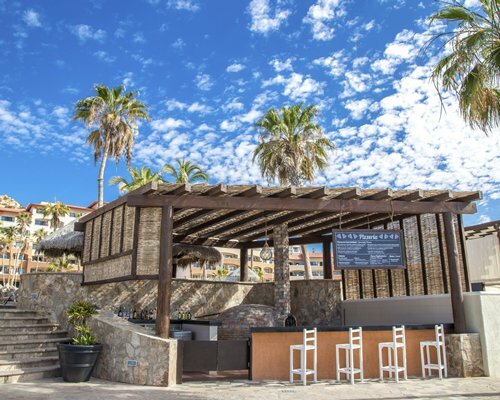 In the evening, enjoy a margarita at the historic Whale Watcher Bar where Keith Richards and Brooke Shields relaxed for hours. 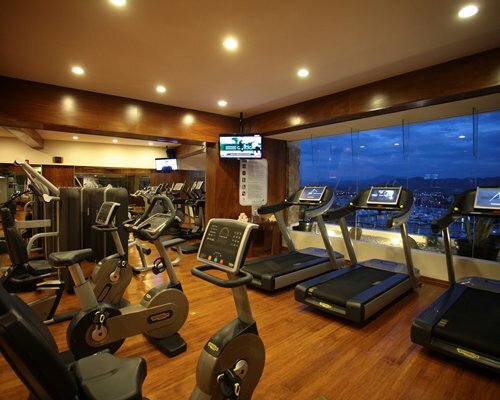 If you like tennis, we have two courts and equipment free of charge. 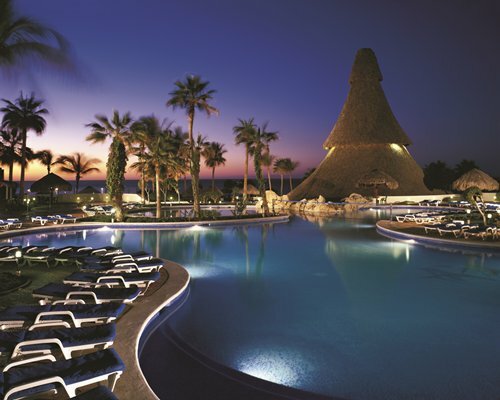 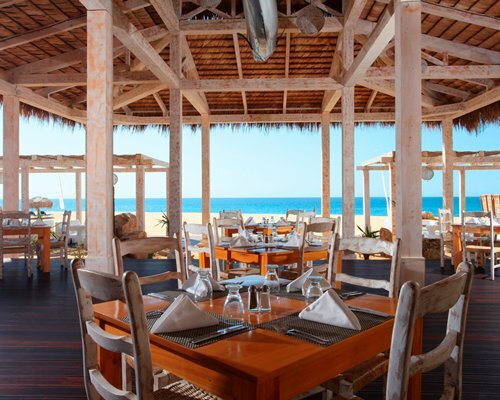 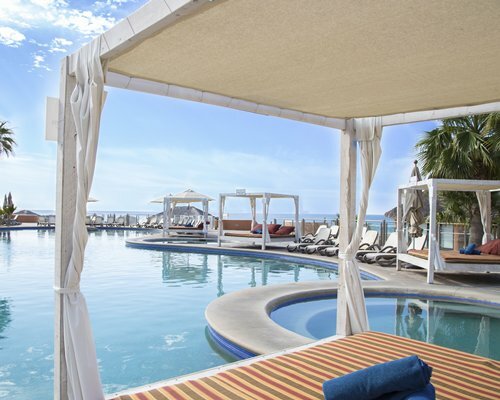 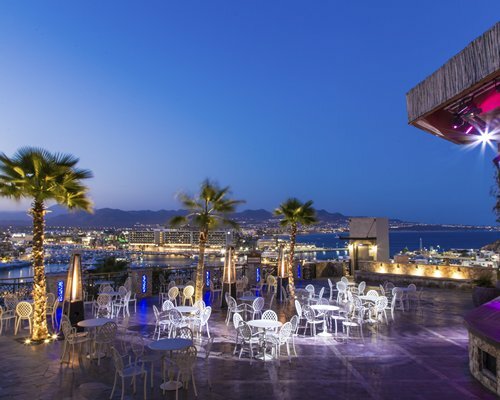 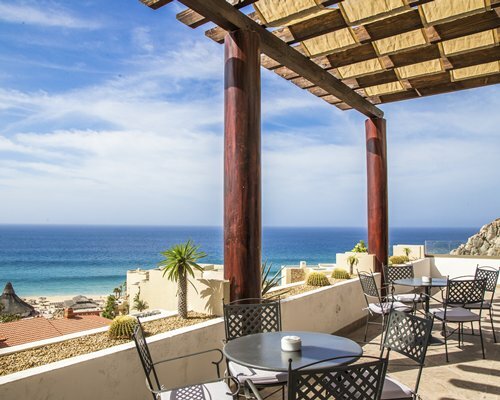 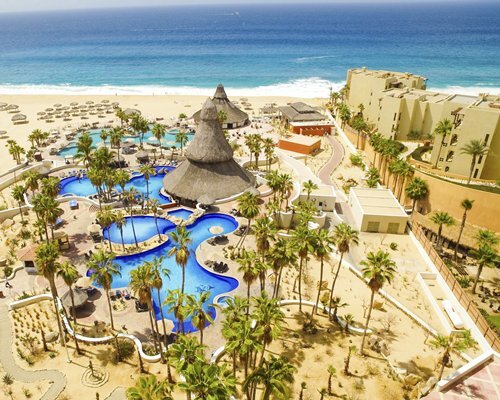 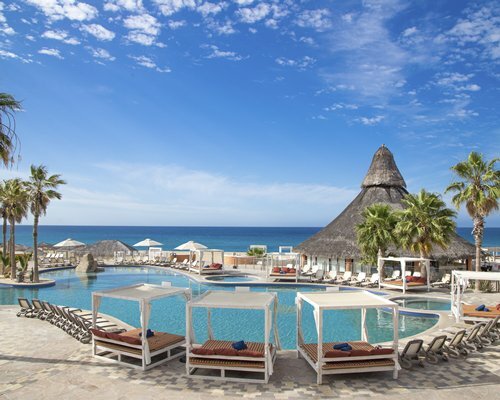 The Resort Sandos Finisterra los Cabos offers an spectular scenery in front of the ocean to enjoy the best vacations at Los Cabos. 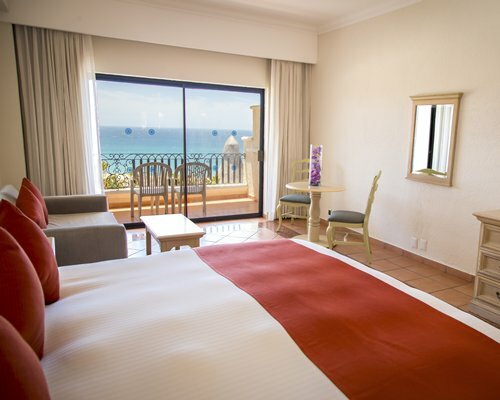 On the property you will find beautiful rooms, lush gardens, an impressive pool and much more. 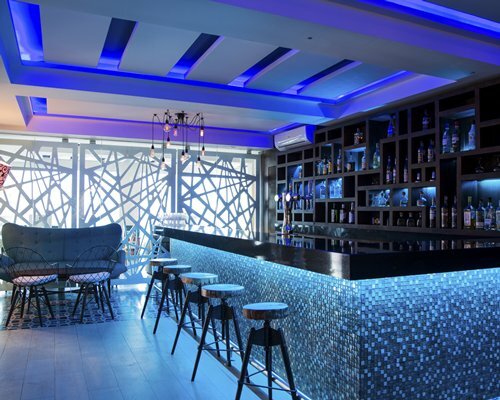 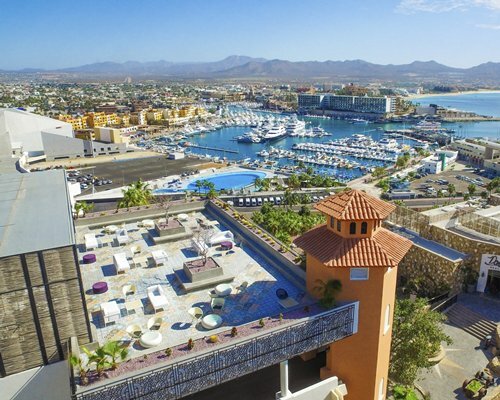 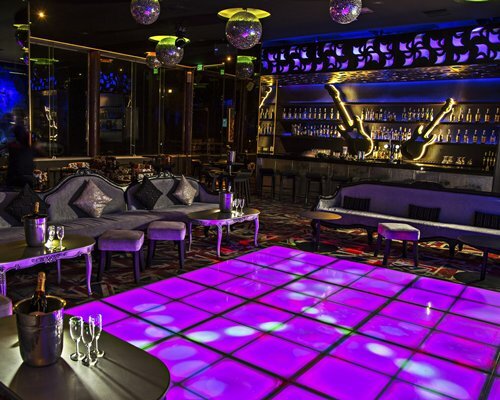 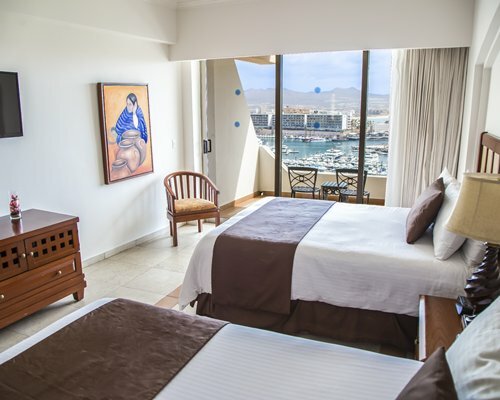 You will also enjoy fine restaurants and bars, a gym and a convenient location, just a few minutes walk from downtown Cabo San Lucas and the marina. 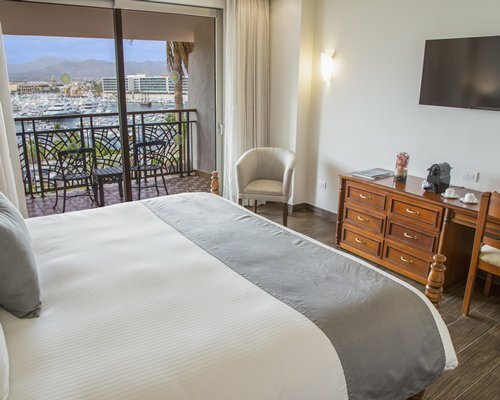 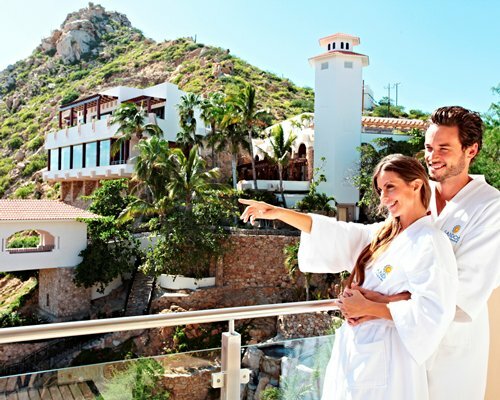 Live the Legend of Sandos Finisterra with its impressive architecture that dominates the Bay of, Cabo San Lucas, in one of our deluxe rooms or family size rooms overlooking the Pacific Ocean and its spectacular sunsets from one of our Junior Suites. 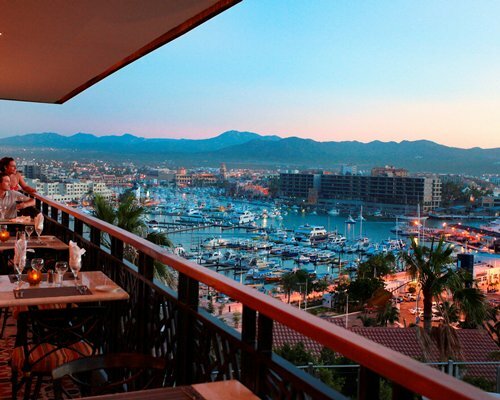 Enjoy a short walk which will take you to the heart of Cabo with its restaurants, nightlife, fishing and water sports. 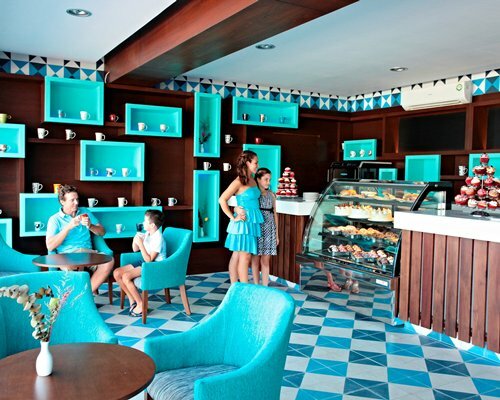 Free WiFi in the Lobby and Restaurants.